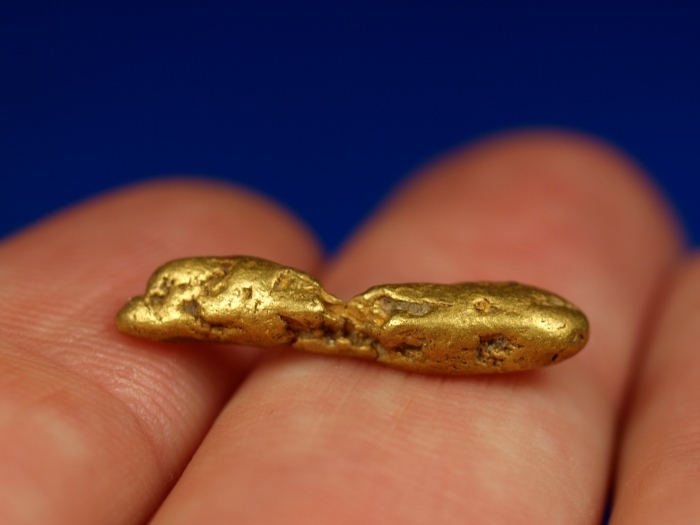 This beautiful raw gold nugget comes from the goldfields of Fairbanks, Alaska. It has a very interesting long shape and weighs in at 3.63 grams. 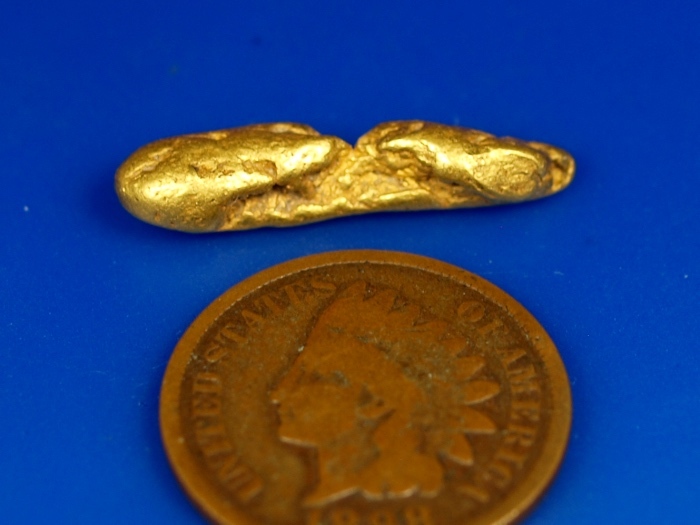 A dandy little nugget to add to your gold collection. It will ship for free in the USA. The penny used in the photo is for size reference only.